mJAX Adnetwork with Advanced UI allows the advertiser and Publisher to independently manage and optimize their Inventory. Adnetwork with advance UI have their own extra features and allow the users to have this environment as user-friendly UI. Customers & Advertising Clients can sign up directly on your Ad network to purchase Advertising in your Publisher's Websites. It supports PayPal and Credit Cards payment for the advertisers to purchase the inventory and so your Advertisers can instantly make payments and start advertising. 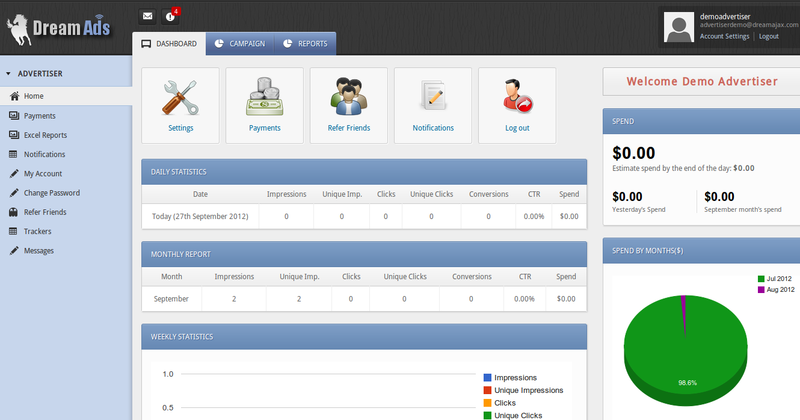 The Interface has the User friendly UI to manage the following targeting features associated with the mJAX. Can manage the registration approval notification for advertiser and publisher. 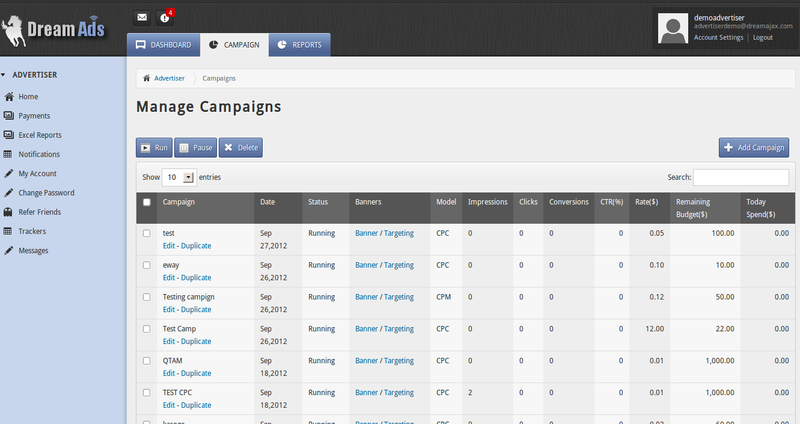 Alerts message while create / update the campaign, banner, and zone. 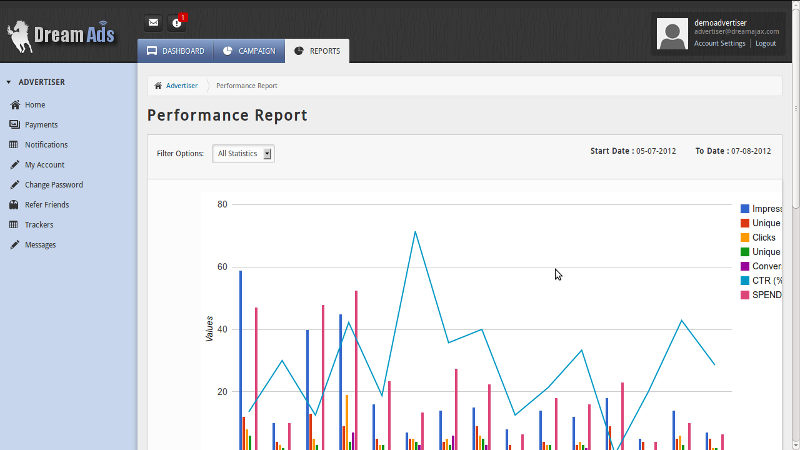 Advanced Graphical Charts to view the statistical report. Message Communication between advertiser and publisher. To view the revenue history / payment of publisher. Invite and refer the friend for this adnetwork. Reports in Graphical chart format. Advanced Interface to the Advertisers and Publishers and you can run the Ad network with the completely different UI from revive adserver. 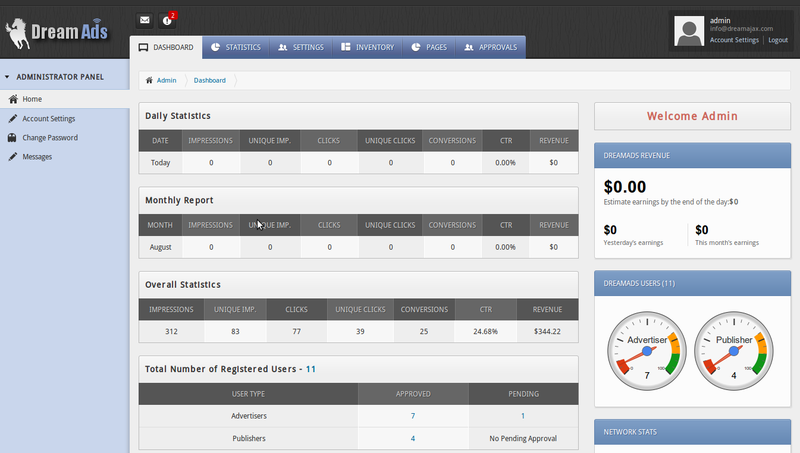 Functions as a complete Mobile Ad network with all required features for advertisers and Publishers. Advertisers and Publisher Self Registration. Allows the Advertiser to manage his campaign and banners in own. 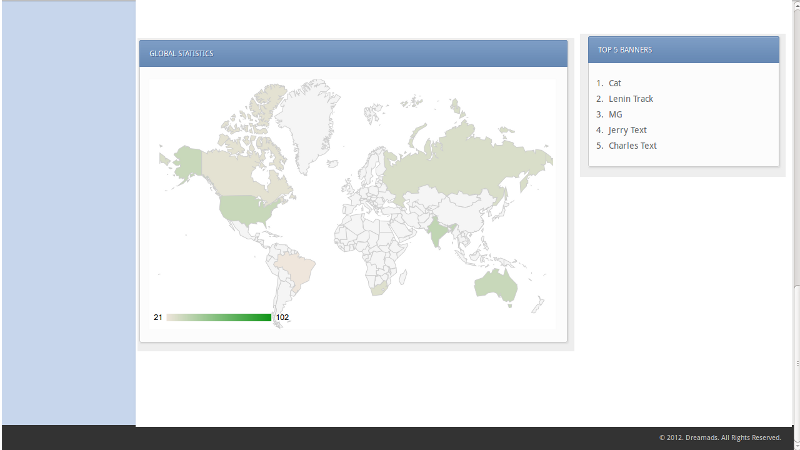 Allows the Publishers to manage the Zone and the linking options. The Self signed up users will be listed for the approval on Admin section and once after the approval User can manage their Inventory. Advertiser can set the Budget for the Campaigns, Daily Limit for the Campaign and add the Fund to his account, when it goes below the minimum level. The Publisher can view the Billing details and request for the Payment. The PayPal payment gate way is integrated to the system. 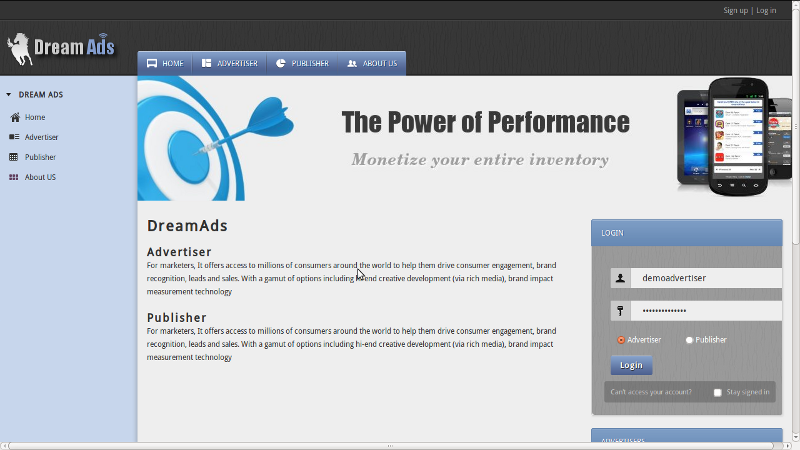 Reviveadservices.com is third party Consulting Solution / Service provider for Revive Adserver download version. Copyright © 2014 Dreamajax Technologies Private Limited. All rights reserved.